The first-ever EU-wide report to isolate the economic and social contribution of advertising highlights its ability to drive economic growth across the EU. Value of Advertising, an independent study by Deloitte, has identified a multitude of benefits generated by advertising, to the overall economy, jobs and to civil society. Using econometric modelling, it found that advertising contributed nearly 6m jobs across the EU and 4.6% of total GDP. The study was commissioned by the WFA and partly funded by egta and other industry partners, including the European Broadcasting Union and the Association of European Radios. Katty Roberfroid, egta Director General, said: “This study provides concrete evidence of the benefits that advertising brings to the daily lives of millions of EU citizens. It is vital to remind policy makers of the importance of our industry in building a strong and vivid media industry”. Jan Isenbart, egta President, said: “Too often, the huge economic, social and cultural benefits of advertising are overlooked. We welcome this study as it comes as a supporting voice to our efforts in maintaining and developing strong European media and advertising industries”. 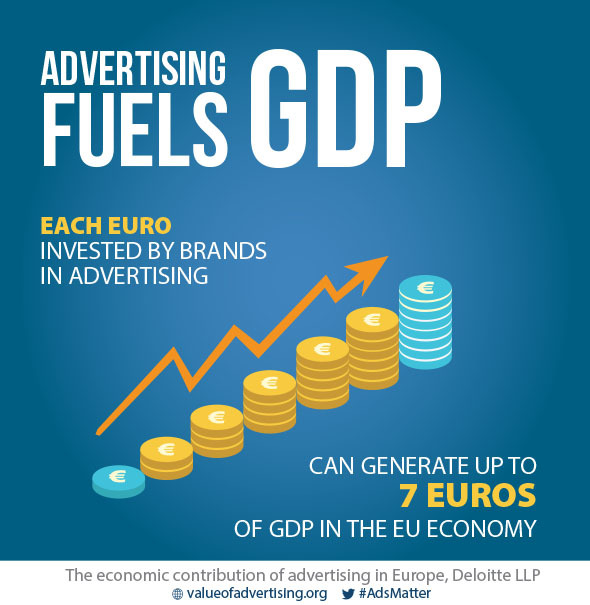 Economic benefits: Every Euro spent on advertising is estimated to add an additional seven Euros to GDP. 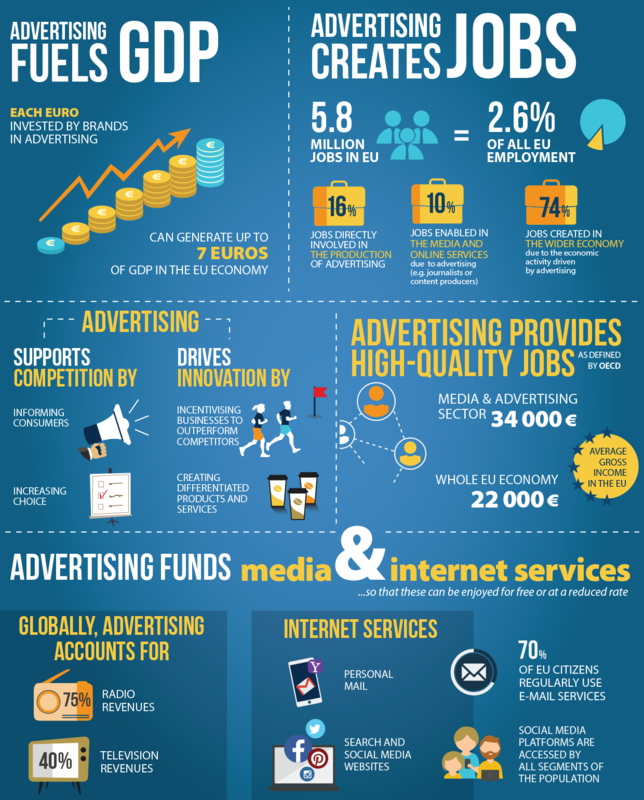 This means that the EUR 92 billion spent on advertising in 2014 in the EU would have contributed EUR 643 billion to GDP, representing 4.6% of the overall EU GDP. The study found that advertising contributes to the wider economy through its ability to support competitiveness, providing consumers with information on products and services, and helps to increase their choice of goods and services. This, in turn, drives innovation by incentivising businesses to create differentiated products and services, allowing them to out-compete their competitors not just in the EU but around the world. Firstly, people employed directly in the production of advertising. These jobs account for 16% of the 5.8m total jobs supported by advertising. The study excludes employment associated with in-house production of advertising, so this is a conservative number. Secondly, jobs created in media and online businesses that are funded by advertising, including journalists and content producers as well as people working in out-of-home (OOH) or television, for example. This accounts for 10% of the 5.8m jobs. These roles have both greater job security and an average salary that is higher than seen in the rest of the economy. Finally, there are jobs created in the wider economy as a consequence of advertising activity. These range from sales jobs to roles supporting the ad business in industries such as hospitality. This area also includes roles created by the advertising-stimulated demand for products and services. It accounts for 74% of the 5.8m jobs. Social Benefits: Advertising provides personal and social benefits by funding or part funding media services. Advertising ensures that EU citizens benefit from news, entertainment and communications tools at a reduced cost or even for free. The €92bn spent on advertising in 2014 directly funded content of all kinds. Without advertising, funding for all sorts of media would be reduced. This could lead TV to be increasingly based on subscription, reduced newspapers and magazines’ plurality and independence, and radio stations would lack the ability to provide news and entertainment throughout the day. In addition, professional sports and cultural events would need to seek financial support from another source. Online, advertising largely funds free services that people across Europe use at little or no cost. For example, around 70% of EU citizens regularly use email services, while advertising-funded video services are accessed extremely widely. 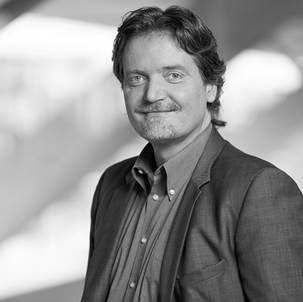 Advertising and the regulatory framework: The European ad industry is calling for a moratorium on further restrictions on advertising to ensure that the overall impact of any new rules, including their unintended consequences, is fully assessed. Right now, the industry is concerned that the revised Audiovisual Media Services and ePrivacy directives will create additional restrictions, hurting the European digital economy and reducing its potential to create local champions and more jobs. Advertising Association UK (AA), Association des Agences-Conseils en Communication (AACC), Association of European Radios (AER), European Association of Communications Agencies (EACA), European Broadcasting Union (EBU), The Association of television and radio sales houses (EGTA), Internet Advertising Bureau EU (IAB EU), Mainostajat Finland, Organisation Werbungtreibende im Markenverband (OWM), Union des Annonceurs (UDA), Union des Entreprises de Conseil et Achat Media (UDECAM), The World Federation of Advertisers (WFA).